In 1981 my father arrived home from the city one day and proudly told us: “Finally we have the window. We can visit Auntie Hilda in Poland!” I wasn’t entirely sure what he meant. What has a window got to do with my first foreign trip? And then I realized that those who had the window could leave, and those without the window stayed at home. Window was the nickname of the visa Hungarian citizens had to obtain during the last years of communism, before 1989, in order to to travel abroad. The stamp on this crucial passport travel permit resembled a real window, and after decades closed behind the Iron Curtain, it was indeed a real window into the world for all of us. Initially, only the neighbouring socialist states accepted the window, except the Soviet Union. The Soviet entrance visa was a different matter, and it was harder to earn the right to visit the Big Brother during the final years of the ’80s. It was the age of the so-called stagnation in the whole Eastern Block. It wasn’t easy to get a passport and a permit to travel. Until 1970 even the reason to decline the issuance of passports was kept a secret. The authorities didn’t disclose why someone was forbidden to visit relatives abroad, study or simply explore. Only politicians, artists, foreign traders, etc., could see “how the West declines” with their own eyes. However, even these privileged travelers were kept under close control. Normally, they were blackmailed with their family not to defect from the country. “What was the new name of the Budapest Philharmonic Orchestra after they returned from their first Western tour? 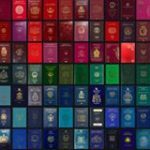 The Hungarian People’s Republic issued two types of passports from 1972; the accessible document was red and allowed the holder to visit other socialist countries, while others were blue tourist passports and holders could theoretically travel once every three years to the West. The tourist also had to buy foreign currency equal to at least $60 and a maximum of $70. The window was stamped onto the fifth page of the blue passport, but the traveler still had to ask for a special permit for each journey to the West. In 1978, Austria abolished the visa requirement for Hungarians, followed by Sweden, Malta and Finland. In the final year of the socialist era, the government introduced the world passport, and from 1989 travel became free for Hungarians. Hungary later joined the EU and the Schengen zone. Now its citizens no longer need a passport to travel within the European Union.